Data that is accurate, insightful & inutiative. Access global fashion data on your fingertips. Drive traffic & checkouts with the right mix. Why is Big Data a big deal? The more successful you are in business, the more cutthroat the competition becomes. That’s simply the reality that your company must face, regardless of your industry. Strategy is key to maintaining an edge over other companies within your niche, and advertising oftentimes plays an integral role in establishing the mission and reputation of your business. Even with that fierce pursuit of customers, you must adhere to certain rules when it comes to promoting your products and/or services to prospects. This does not, however, preclude you from employing the latest technology to stay abreast of what your competitors may be up to. As the saying goes, wise individuals know that it’s best to keep their adversaries under a watchful eye. Such is the case in today’s professional landscape. However, now this principle takes the form of sophisticated monitoring systems you can use to assess your competitors’ prices, behavior and activity. When employed effectively, this approach can even clue you into when your competition is running low on a particular product, and once that inventory finally hits zero, that’s a prime opportunity for you to pump up your efforts to win over some of their prospective customers. Finding new and innovative ways to reach out to prospects should be a constant focus of your business. After all, the best way to expand your company is to establish an ongoing relationship with the very individuals whose patronage you desire. 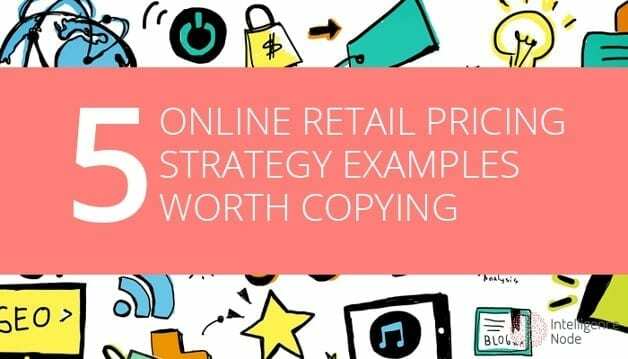 Yet, here are some smart ways to cut into your competitors’ customer base that just may pay off, especially when they are out of stock on a particular product. Analyze social media networks: The emergence of social media has made it easier than ever for companies to connect directly with customers. However, it also allows you to check in on your competition and target their customer base. For the purposes of poaching their business, consider digging into Twitter followers, LinkedIn connections and Facebook likes. In particular, you can also pinpoint the demographic you want by investing in Facebook ads. Play the Google game: When it comes to the online space, few companies are as omnipresent as Google. As such, the company offers several different venues you can use to target your competition. From honing in on keyword brand terms on Gmail ads to focusing on a predefined audience with the custom affinity audience feature, Google is a key tool you should be using to its full capability to build your customer base. Engage in content marketing: If a customer is all set to make a purchase and then finds that product is “out of stock,” the most likely alternative they’ll turn to will be one they trust and/or are familiar with. That’s why content marketing could be such a useful tool in reaching out to your competitors’ prospects. Though not a form of advertising per se, content marketing builds trust with consumers and allows you to emerge as an easy favorite for subsequent online searches customers will engage in to find a suitable replacement for the product they elsewhere found out of stock. Fill the market with blog posts and other content which allows you to highlight your products and stay top of mind for potential customers. Kick up your YouTube presence: One of the most prominent trends right now is a gradual leaning towards video content. Targeting customers via your company’s YouTube presence is a clever move to stay in line with your competition. The site allows advertisers to run brief ads before other videos, and this may present a unique opportunity for you to go after competitor content directly. There may be no better way to keep your prospects in the know about everything your product has to offer. Customers may fret when they see that a product they’re interested in is “out of stock,” but the value that this has for your business cannot be underestimated. Consider it a second chance to win back a consumer who was dangerously close to opting for your competition. Such opportunities can be identified and acted on when you have the right strategies in place to facilitate this realization, but remaining top-of-mind with your potential customers helps to ease them into a purchase when that critical moment comes wherein a competitor has depleted their inventory. Remember that remaining persistent and vigilant is half the battle when it comes to fostering growth. Who won the 2018 grocery price wars?